Norway's foreign minister Borge Brende on Friday announced he has been appointed as president of the World Economic Forum (WEF), a foundation that organises a high-level global economy event every year in Davos, Switzerland. OSLO - Norway's foreign minister Borge Brende on Friday announced he has been appointed as president of the World Economic Forum (WEF), a foundation that organises a high-level global economy event every year in Davos, Switzerland. Speaking at a joint news conference with Prime Minister Erna Solberg in Oslo, Brende, 51, said he would step down as foreign minister in mid-October. "World Economic Forum has some of the largest companies in the world as partners and works with politicians, the industry and the private sector to reach global goals," Brende said. "There is more need than ever for an organisation that is impartial and can build trust in a geopolitical world where there are more players than before who want to have a say in the team," he said, noting the high tensions on the Korean peninsula. "It's a question of solving the major economic, political and social challenges of the world, and in this respect the WEF is playing an important role," Solberg added. Founded in 1971 by the German economist Klaus Schwab, the Geneva-based World Economic Forum brings together thousands of political and business leaders and academics to discuss major economic, social and environmental issues. A graduate in history, law, and economics, Brende started to campaign for the Norwegian Conservative Party in the 1980s. Elected as a local politician in the western Norwegian city of Trondheim, Brende later became the environment minister in 2001 and the minister of economy and trade in 2004. 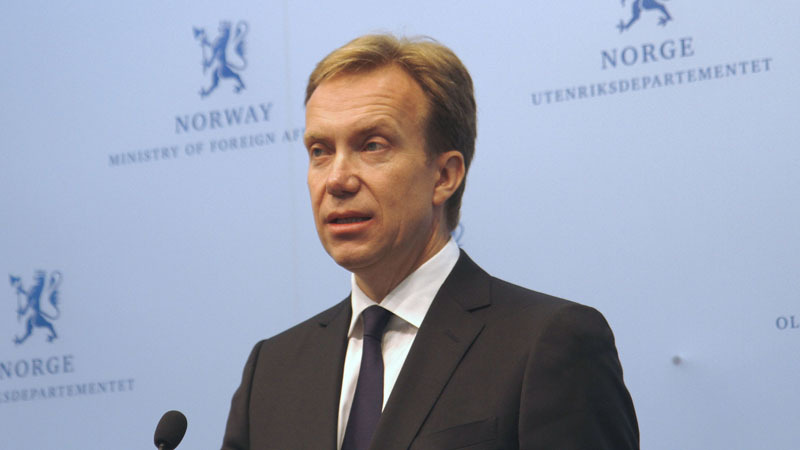 Brende joined the WEF in 2007, where he was a leading member between 2008 and 2009, and then from 2011 to 2013. He was an active mediator in the talks between the Colombian government and the FARC rebels, who signed a peace agreement in November to solve a 53-year armed conflict.